The membership is widely diverse, bringing together Federal, State Appellate and Superior Court judges, large firm partners and associates, sole practitioners, City Attorneys, County Attorneys, District Attorneys and Public Defenders. Our Inn membership also reflects the diversity of ethnic backgrounds and sexual orientations of the community it serves. 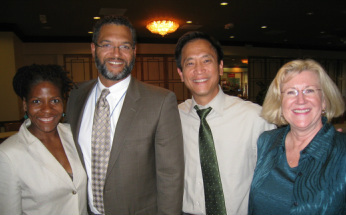 Law student members are traditionally recruited from the University of California law schools at Berkeley and Hastings (San Francisco). The American Inns of Court actively encourages its individual Inns to maintain a diversity of membership in order to enrich the experience of its members. Please view the American Inns of Court's diversity policy here.